This past weekend the WVU baseball team crack the Top 25 and it’s officially time to get excited about college baseball in Morgantown. This past weekend the WVU baseball team crack the Top 25 and it’s officially time to get excited about college baseball in Morgantown. 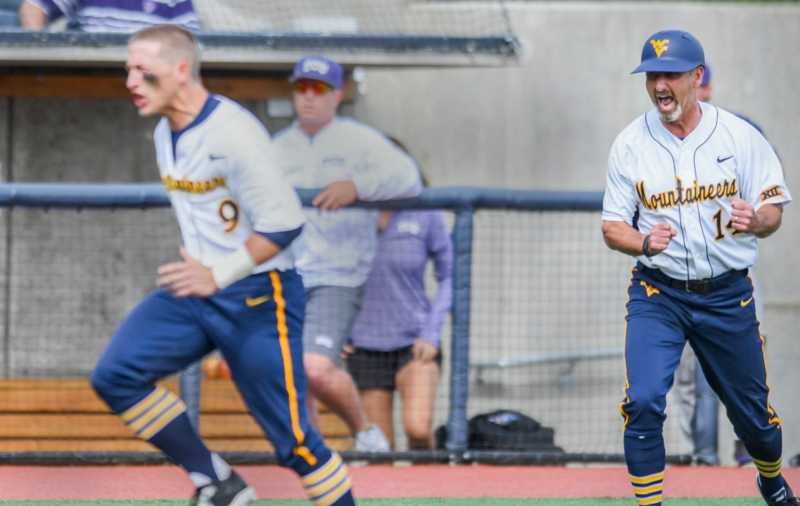 For the first time in the 2019 season, the Mountaineers are in both of the major college baseball polls. WVU is ranked No. 25 in the Baseball America rankings and debuted at No. 20 in the D1Baseball Top 25. No. 20 is the highest debut ranking for any team this season. The Mountaineers have taken three series in a row against ranked opponents including taking two of three from No. 11 Texas Tech this past weekend. The loss in the finale ended the team’s four-game winning streak. Students and fans are taking notice of WVU baseball. On Saturday the WVU baseball attendance record was borken when 3,494 fans packed the Monongalia County Ballpark. This was the second time in ten days the record was broken. The record crowd was treated to a very exciting game. Marcus Inman drew a walk-off walk and gave the Mountaineers a 4-3 win that clinched a series win over the No. 11 Red Raiders. Up next the Mountaineers go on the road to take on Penn State on Wednesday. That is followed by a three game weekend series with Kansas at the Monongalia County Ballpark. You can find information on tickets here. This team is hot and it’s time to get behind them and show some support. It’s the perfect way to bridge the gap between now and football season.